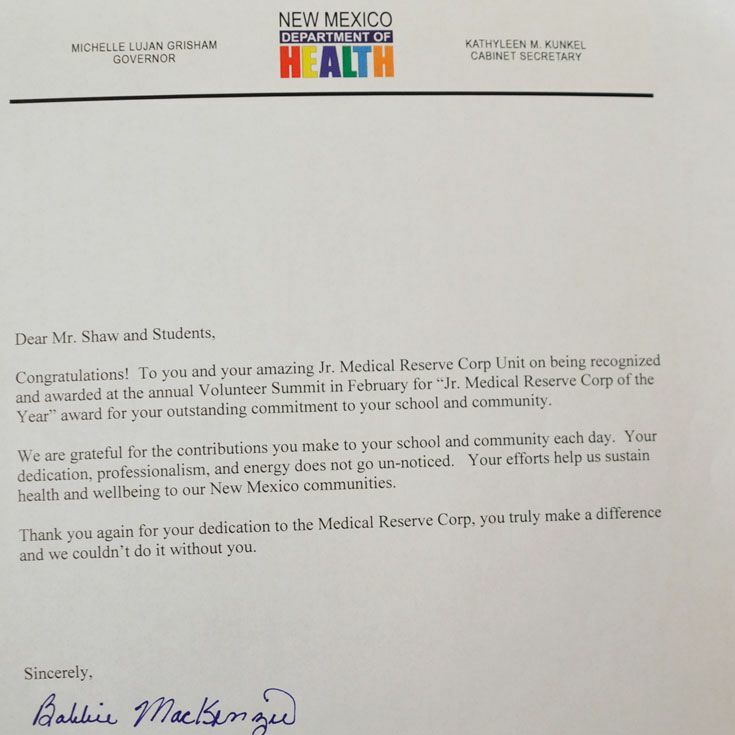 Bosque’s Medical Reserve Corps has been recognized with the Junior MRC of the Year Award, an honor bestowed by the New Mexico Department of Health. Bosque’s MRC was founded during the 2006–07 school year by then-students Chris Quinn-Vawter ’08, Thomas Cummins ’08, and Ivan Lawit ’09. ToRC has 38 members, 21 of whom are currently licensed by the state of New Mexico, mostly as Medical First Responders and one as an Emergency Medical Technician (EMT-B). On campus, the MRC treats between 7–10 urgent or emergency calls each month and assist about 25–50 medical interactions for community members with long-term medical care support needs. They also regularly provide medical care standy-by services for off-campus activities. Bosque’s program has had a significant impact on students during its 12 years of operation. 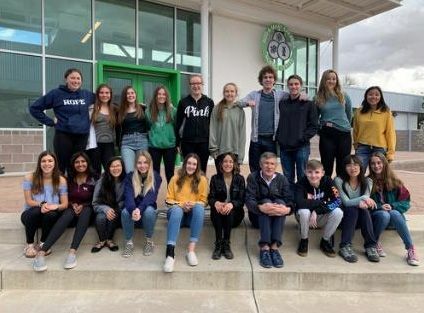 Bosque alumni, previously involved with the MRC, today work as nurses, doctors, paramedics, and other health care professionals.